Attention-deficit hyperactivity disorder (ADHD) seems to be more frequent in women with fibromyalgia than in those without this disorder, and those patients tend to have more occurrences of impulsive behavior. A study with those findings, “Attention-deficit hyperactivity disorder and impulsivity in female patients with fibromyalgia,” was published in the journal Neuropsychiatric Disease and Treatment. 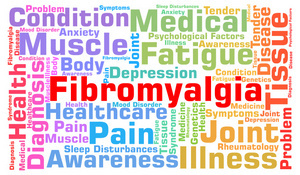 Fibro fog is common in fibromyalgia patients, involving symptoms such as mental confusion, difficulty concentrating and staying attentive, memory loss, and speech impairment. These cognitive deficits are similar to those of ADHD, which is characterized by ongoing lack of attention and/or hyperactivity-impulsivity. Notably, ADHD patients show a marked incidence of fibromyalgia. Increasing evidence suggests the involvement of the central nervous system, particularly the neurotransmitters noradrenaline and dopamine, in both conditions. Moreover, case studies show that treatment with the ADHD medication atomoxetine, which raises the levels of noradrenaline outside cells, is an effective strategy to ease pain associated with fibromyalgia.